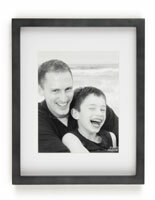 11" x 14" Frame Matted to 8" x 10"
This 8” x 10” black photo frame is sold with a removable white mat board. 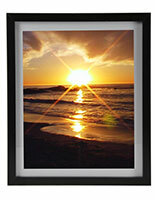 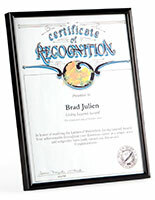 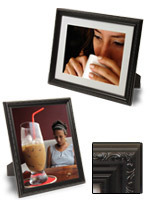 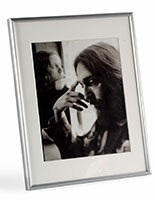 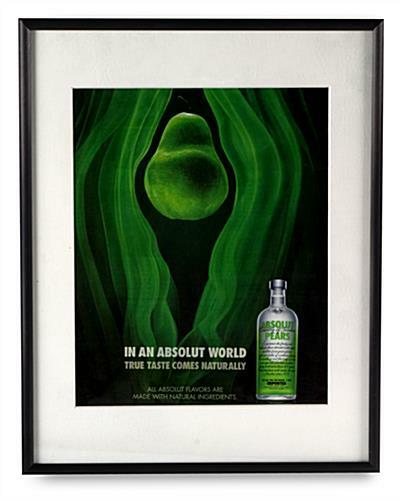 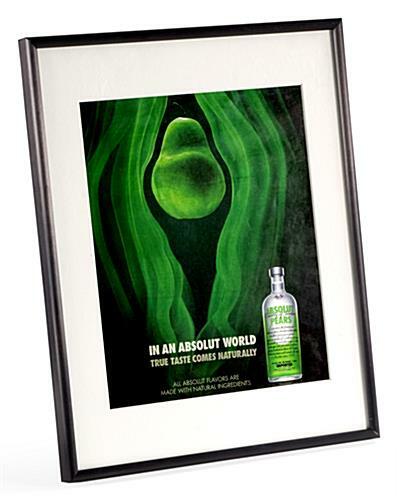 When the matting is used, easily display an 8” x 10” picture in either portrait or landscape orientation. 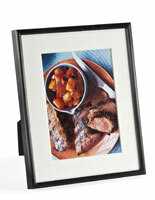 Remove the mat board to present a larger, 11” x 14” picture. 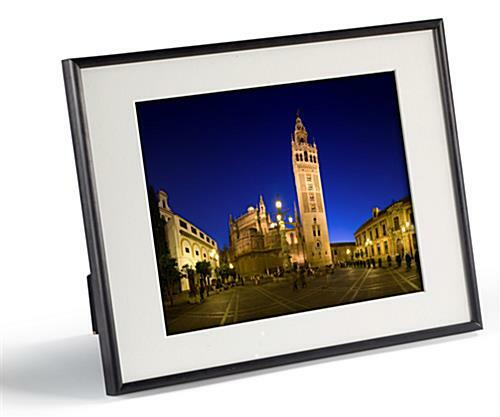 This black photo frame is constructed from brushed aluminum and features a slim profile that perfectly contrasts with the larger matting. 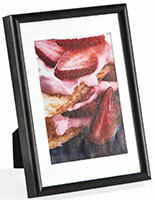 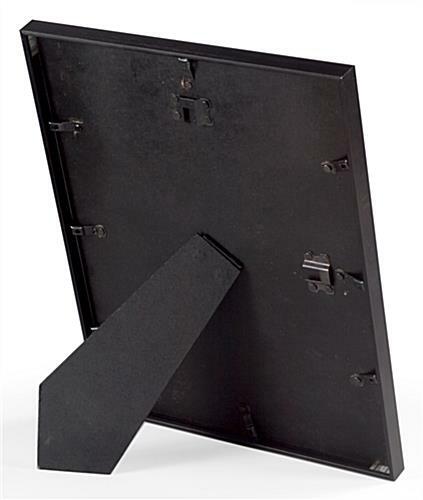 In addition to a two-way easel, the aluminum picture holder has hooks for wall mounting. 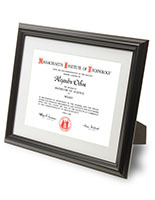 A clear glass lens covers and protects displayed prints to prevent damage from dust and fingerprints.